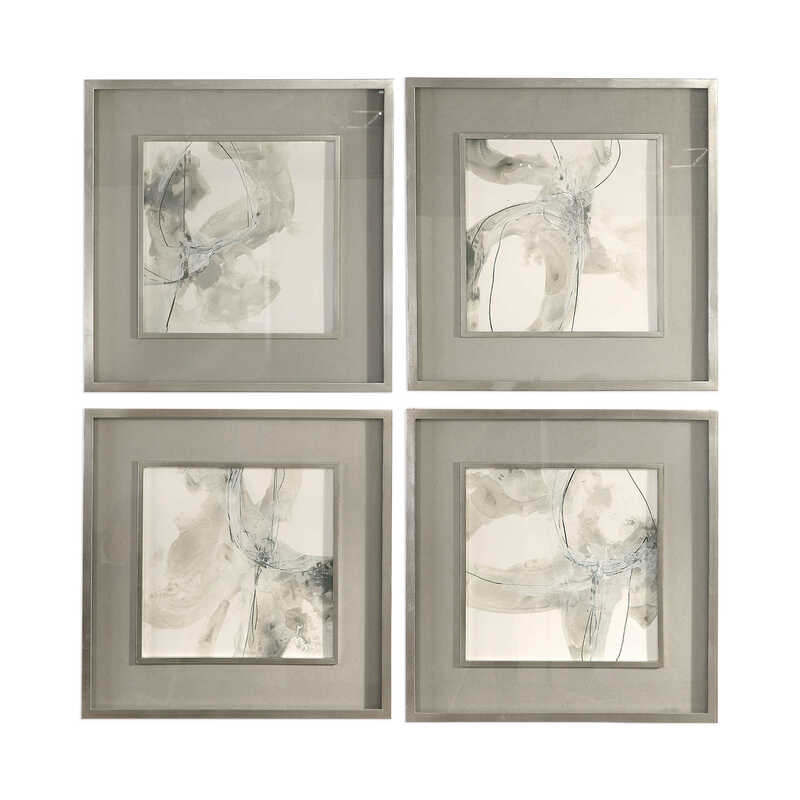 A unique, minimalist design is featured in these abstract art prints. 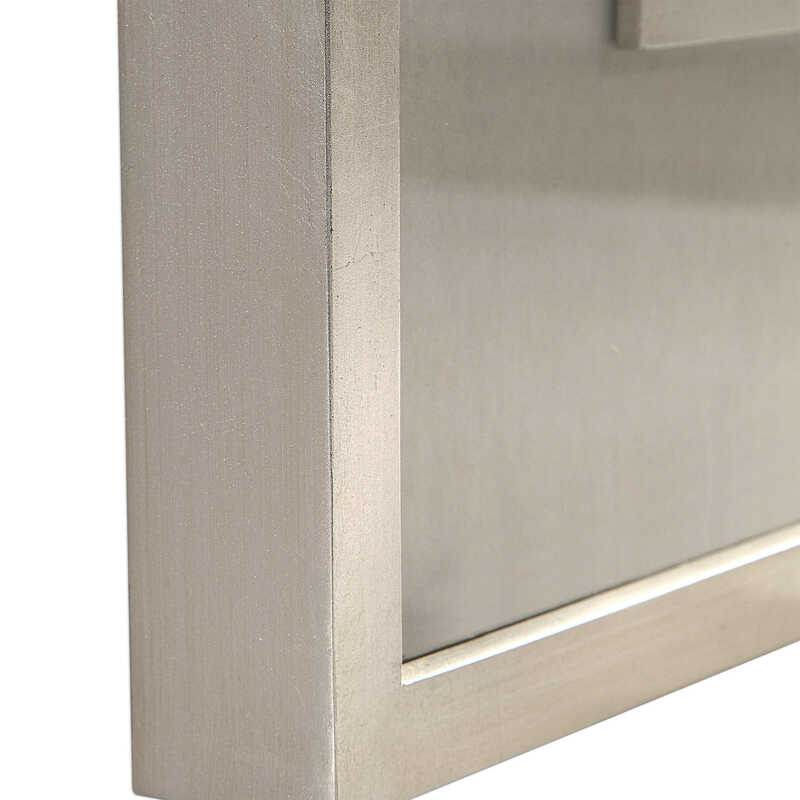 Earthy neutral tones of warm gray, charcoal, and off-white are complimented by warm gray mats. 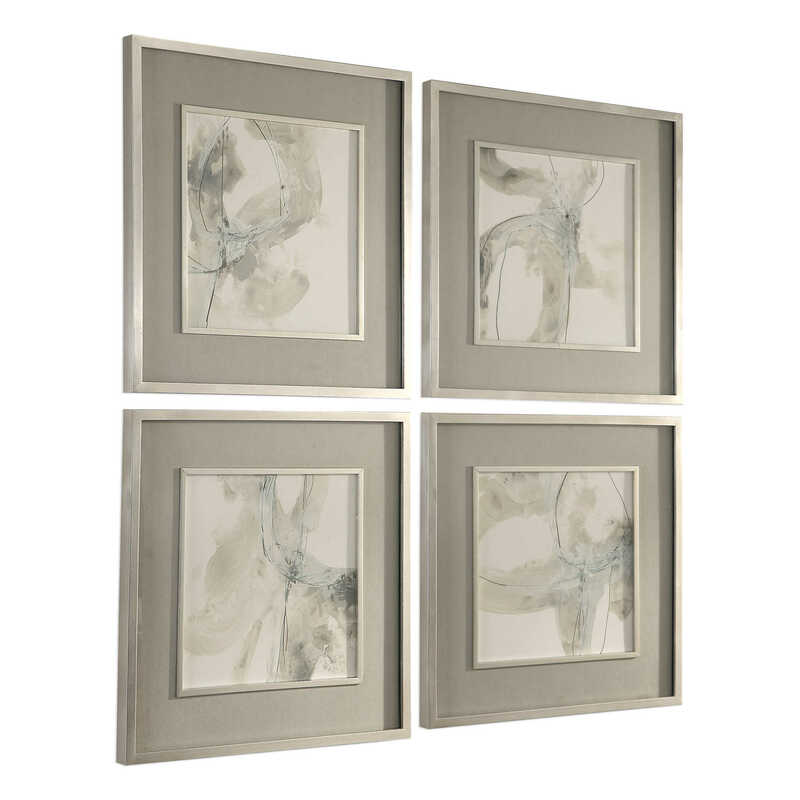 Bright silver leaf frames and fillets complete these contemporary works of art. Each print is placed under protective glass.